Chocolate and wine are perfect partners for Valentines day, or any other day for that matter. Try white chocolate and Prosecco, or chocolate truffles with one of the wonderful red wines , all available from our Tenuti (Vineyards).– a perfect present for your special person on Valentine’s Day. When your love is written in the stars and you want to give him/ her a special gift for Valentines Day, give them this chocolate lovers 4 or 5 day trip to be held in October . If you wish this can be extended to a week to allow you time to explore for yourself this wonderful atmospheric part of Italy. 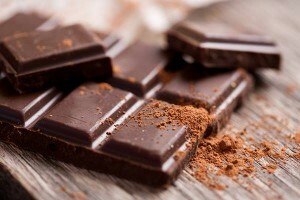 The Perugia Eurochocolate festival is held from 16th Oct-25th Oct and it is the biggest chocolate celebration in Europe. Held throughout the streets of medieval Perugia this sweetest event attracts a lot of visitors to the beautiful Umbrian city. It will be an exciting experience with a huge quantity and variety of chocolates from many different countries. 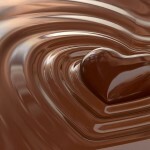 There are chocolate tastings, chocolate sculptures and chocolate workshops organized by the manufacturers. On the outskirts of Perugia lies the Perugina chocolate factory which is an extraordinary place for visitors to discover and delight in all of the pleasures of chocolate. CNN named Casa del Cioccolato one of the top five destinations for chocolate lovers and the New York Times listed Casa di Cioccolato as a must see for anyone who’s in the neighbourhood of Perugia. Day 2 morning – tour of the Perugina factory, visiting the ‘Wonka-esque‘ world of Perugian chocolate, a 1¼-hour guided tour in English. Day 5 -1 day wine tour. The programme will be as above but certain days may be changed around dependant on 3rd party availability.